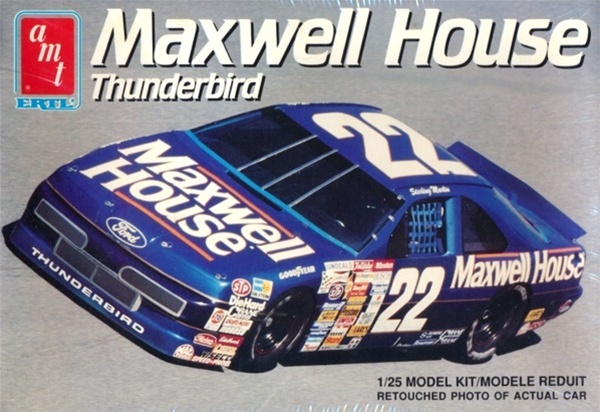 Future Daytona 500 winner Sterling Marlin’s 1991 Maxwell House Ford Thunderbird is our subject this week. The two shades of blue look good, and the gold stripe separating them is a really good look. It’s a bold move that looks really good. The numbers without borders look really good too. My only complaint about this paint scheme is the small amount of the bottom logo that has been cut off by the wheel well. Other than that’ its a solid scheme. Next Post The Vest Project Part 12-6 Hungry Driver-One Bad Marketing Idea.